This year, Easter Sunday falls on April 8th, the week of the DVD & Blu-ray release for We Bought a Zoo, a film centered around a widowed father who moves his family to a struggling zoo and takes on the challenge of renovating it, instilling in his children life’s most important lessons in the process. In this feature, we will highlight films that contain the theme of Easter or are family-friendly, to watch on this holiday and/or include in Easter baskets, in addition to We Bought a Zoo. Author C.S. Lewis brings about many religious overtones in his work – including in his famous Chronicles of Narnia. The first published book of the series – “The Lion, the Witch and the Wardrobe tells the story of four siblings who enter the magical land of Narnia through a portal in their wardrobe. 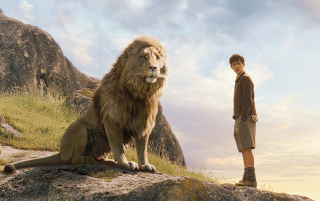 With the help of an-all knowing lion, Aslan, the siblings learn of their destiny to help save Narnia. Though the literary works and film adaptations are generally regarded as fantasy, there are many parallels to the Christian ideology, such as Aslan’s representation of Jesus Christ. Aslan sacrifices his life to save one of the siblings but is then resurrected from the dead. Best known for her role as angel “Monica,” in CBS’ “Touched by an Angel,” Roma Downey executive produces the animated DVD series, Little Angels. 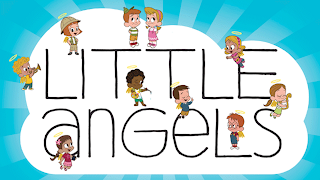 Created for pre-schoolers, Little Angels teaches educational skills such as ABCs and 123s. The series follow twins Alex and Zoe who are guided by eight little angels that watch over them, helping guide them through the many challenges they face in their young lives. 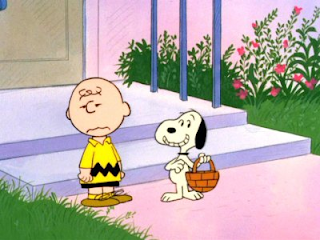 Debuting on CBS network in 1974, It’s the Easter Beagle, Charlie Brown, tells the story of the Peanuts Gang as they get ready for Easter through their own quirky and messy ways, even though Linus tries to convince everyone that the Easter Beagle will take care of everything. The network has continually air the film every year since it’s original airing. 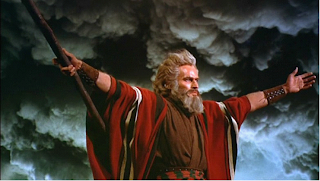 In the 1956 epic film directed by Cecil B. DeMille, The Ten Commandments depicts the biblical story of the Exodus, in which Moses, as portrayed by Charleton Heston leads the Israelites out of Egypt and across the Red Sea and onto the based of Mount Sinai, where Moses receives the Ten Commandments. The Ten Commandments, which is narrated by DeMille, was the last film he ever directed. 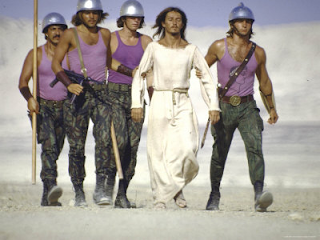 Jesus Christ Superstar is a film adaptation of the rock-opera of the same name by Andrew Lloyd Weber. Released in 1973, the musical centers loosely on the Gospels’ account of the last week of Jesus’ life, beginning with his arrival in Jerusalem and ending with his crucifixion. However, the film also highlights interpersonal struggles between Jesus and his traitor, Judas Iscariot that are not in the Bible.